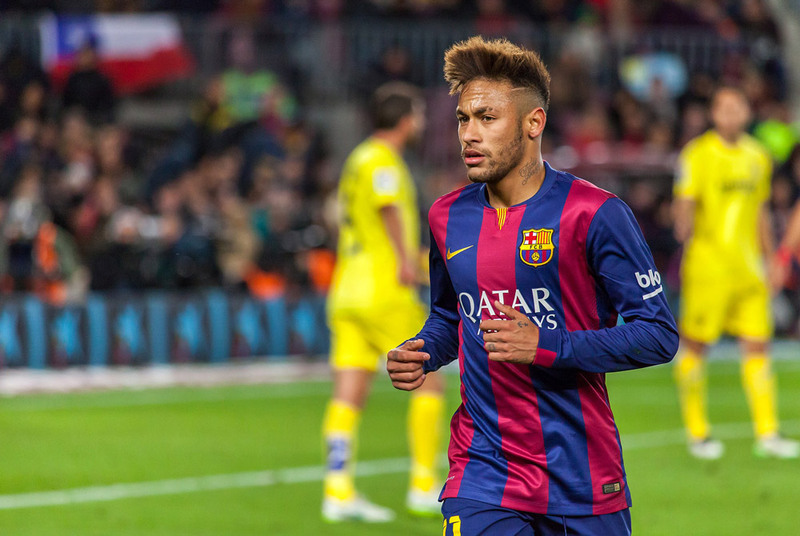 Bend it like Beckham… or net it like Neymar? World Cup winning teams show that practice really does make perfect! Brazil is considered to be among the best of football nations in the world. This is often incorrectly attributed to aspiring youngsters honing their skills on Copacabana beach, but the Brazilians have a very different trick up their sleeves – Futsal. Futsal (Portuguese for indoor football) evolved from the slums or favelas of Rio de Janeiro, where there was no place for lush soccer pitches, just small patches of barren ground. During a game of Futsal, players come into contact with the ball six times more frequently than soccer, which effectively means six times more practice. Because Futsal is played with a smaller, heavier ball, players need to be more skilful in passing and ball handling. It’s not until the age of 14 that young Brazilians graduate from Futsal to football. Futsal is renowned for developing the skills that make turbo-charged decision-makers on a football pitch – the sort of abilities England’s elite footballers are often accused of lacking with every passing tournament debacle. The Futsal story is a perfect example of purposeful practice, demonstrating that skill levels are directly related to the amount of practice. Not any old practice, but deliberate, conscious practice. All the research shows that the overriding factor in any skill acquisition is purposeful practice, not natural talent. The first research study to discover this was undertaken at the prestigious Berlin Academy of Music, where researchers wanted to discover what made a virtuoso violinist rather than just a good one. After collecting and analysing mountains of information including psychographics, demographics and family background data, the research findings were as follows: virtuoso soloist violinists practiced 6 hours per day, good violinists practiced 4 hours per day, and average violinists practiced 2 hour per day. The researchers were so astonished by these results, that they (and others) replicated the experiment in different fields such as sports, chess etc. Every time the results painted the same picture. Skill in any field is directly proportional to the amount of purposeful practice. More recent research has shown that for certain sports physical characteristics are also critical, for example elite baseball players have better visual acuity than average – so laser eye surgery is now prevalent amongst top players! Business leaders should consider what mechanisms they are putting in place to develop their own teams and raise skill levels, to give their organisations a real competitive edge. Say an employee needs to develop a particular skill, for instance, sales skills. An environment of “purposeful practice” would accept that the first attempts will be far from perfect, but through practice, learning from mistakes, role-play and feedback, the employee will develop and improve over time. This requires a certain organisational tolerance of failure, and a genuine investment in people to ensure staff are both encouraged and challenged in equal measures. This requires both an individual and organisational growth mindset. Just as Brazil has built a reputation for focused team development, business leaders should consider what mechanisms they are putting in place to develop their own teams and raise skill levels, to give their organisations a real competitive edge. Coaching has one of the highest returns on investment – some studies report 800% – so it’s not surprising that once your managers adopt a coaching approach, you can expect breakthrough results for your entire organisation.